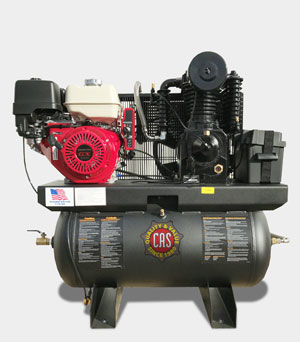 The CAS Industrial Series compressors are designed for automotive and industrial applications. 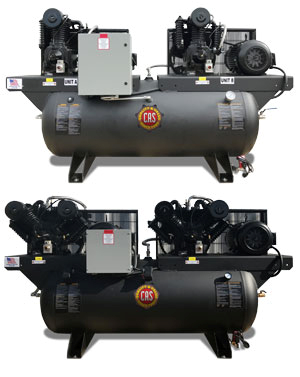 The CA1, CA2, CA3, CA4 pumps are manufactured for durability and long life. 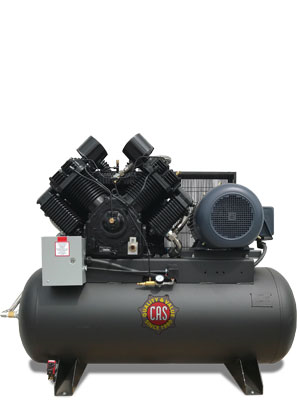 CAS Large Industrial Compressors are designed for the heavy duty industrial air user that require reliability and value in a high cfm reciprocating compressor. 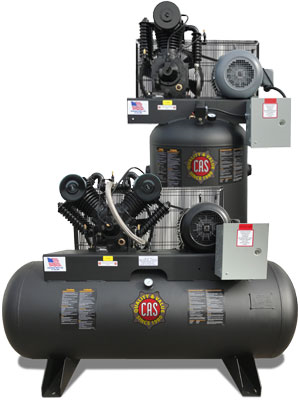 CAS Elite Series compressors feature a unique option package that makes your new compressor simpler to maintain while delivering higher quality air. 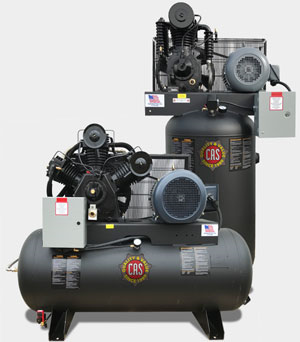 The Elite options are available on all stationary compressors. 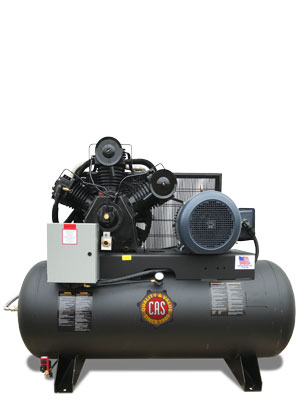 Belt guard coolerdelivers air at a much cooler temperature to the receiver. Compressed air that goes into the receiver cool drops more moisture in the receiver. The moisture is then automatically drained from the receiver. That means less equipment damaging moisture is sent into your air lines. 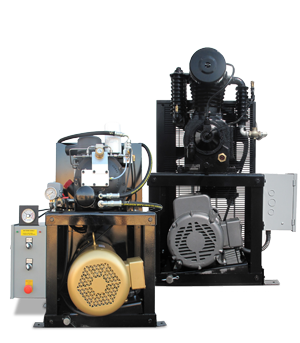 Low oil monitor will help to keep you notified when you need to add oil to the compressor pump.